One of many problems with soap and detergent use for cleaning carpets is that they leave a sticky residue behind, which causes rapid re-soiling. This results in reoccurring stains, traffic patterns and promotes poor indoor air quality. Excessive use of carpet cleaning detergents will cause premature damage to carpet fibers shortening the life span of your carpeting. Use of soaps or detergents on carpet fibers do not actually clean, they pollute the indoor environment of your home. Improper cleaning and maintenance is a problem, this is evident at the carpet fiber level when after cleaning (using soaps and detergents) you can see soap or detergent deposits and residue sticking to carpet strands. Carpets may appear to be clean to the naked eye, but a closer look reveals the "cleaning" process is anything but clean. Even after using special rinsing agents, you'll still have residue left behind, because that is the nature of soaps and detergents. When embedded soil and residue appears at the surface of the fibers, it's called wicking. Decades ago, the original soap-free carpet cleaning process was developed offering the proprietary advantage of effective cleaning without leaving any type of sticky residue behind. With a residue free cleaning process, carpets stay cleaner longer, feel softer and dry much more quickly. Residues left in carpets actually hold moisture that takes much longer to dry. Residue free cleaning is the healthiest way for cleaning carpets, promoting fast dry times and healthy indoor air quality. 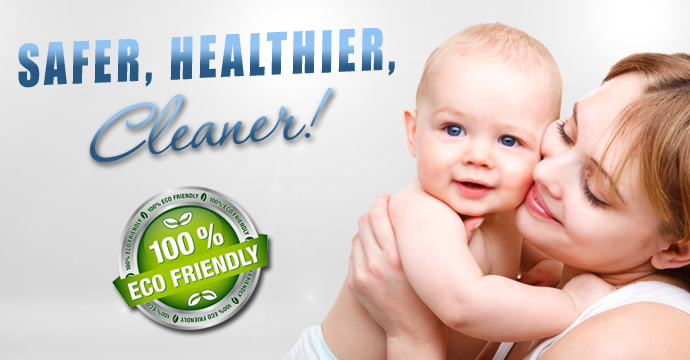 For soap and detergent free carpet cleaning serving Riverside, CA and surrounding areas contact us at 951-787-8787.